That’s right! November is Gratitude Month & during the entire month of No Shave November 911 Restoration is running our first annual Movember “Stache for Cash” $500 facial hair photo contest to raise awareness and funds for cancer. The contest is simple. 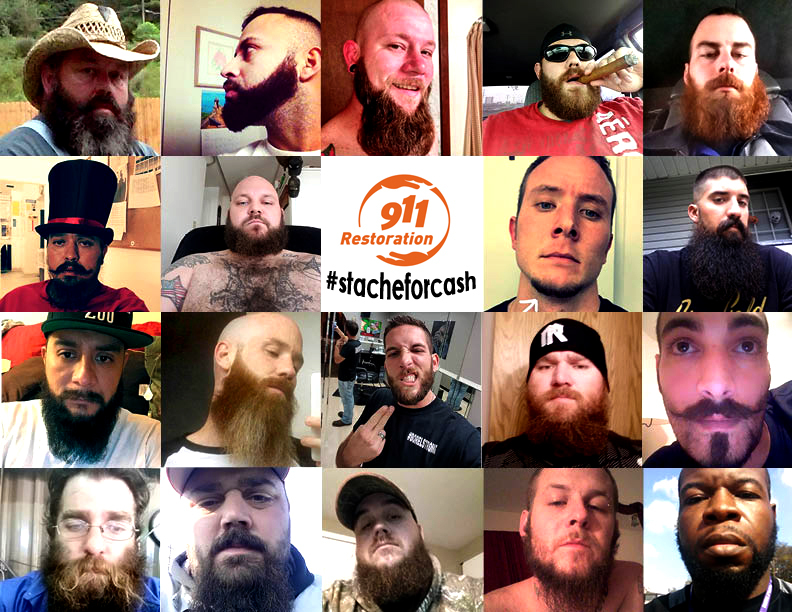 Submit a photo of your facial hair on our 911 Restoration Facebook wall or Twitter page with the hashtag #stacheforcash for a chance to win one of $500 in cash prizes. Everyone is eligible to enter so find that fake hair, e-mail any bearded ladies you know, and make those milk-mustaches count for a chance at cash! An avid believer in giving back, simply finding and rewarding the freshest ‘stache wasn’t enough. CEO Idan Shpizear decided that it would be fun to “raise the stakes” a bit by making a cash donation to the Movember Foundation matching the amount of entries we receive for the contest. So far we’ve received 170 entries to the contest, which is a lot of ‘staches to sort through but we’re up for the challenge. More importantly, that’s an extra $170 going to charity to help raise awareness for cancer. Our goal is to get at least 200 entries and raise at least $200 from the contest so click here to submit a photo to our #StacheForCash contest today! 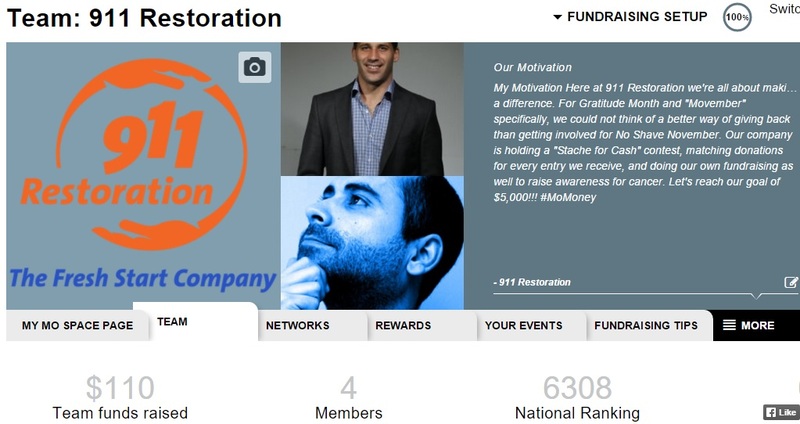 911 Restoration has also set up a team fundraising page with the Movember Foundation to raise funds and awareness for important cancer causes. Here at company headquarters we’ll be growing out our own fresh ‘staches and “getting moving in Movember” so that we can reach our goal of raising an additional $500 for charity. Additionally, our “leader through support” Idan will match any donations we receive up to $10,000 so please feel free to donate to our fundraising page by clicking here and don’t forget to spread the word about Movember!